A few months ago I went to GenCon. While there I brought a large coffee maker with me because my motel did not have coffee, and I am a coffee lover who needs it everyday in order to function. (I know, it is a bad habit.) After the trip, I had a collection of coffee filters that were too flattened to use on anything. So I stuck it in my cabinet and forgot about it. A week or so ago, my boyfriend found them hiding away. He gave me an ultimatum, “find something to use these on or I’ll ditch them.” I accepted his challenge. Looking around my room I found some small coffee containers that I was using to hold miscellaneous things. That’s the moment I decided I could use these coffee filters to make my coffee containers a little bit more pleasing to the eye. Below is a little tutorial of what I did. 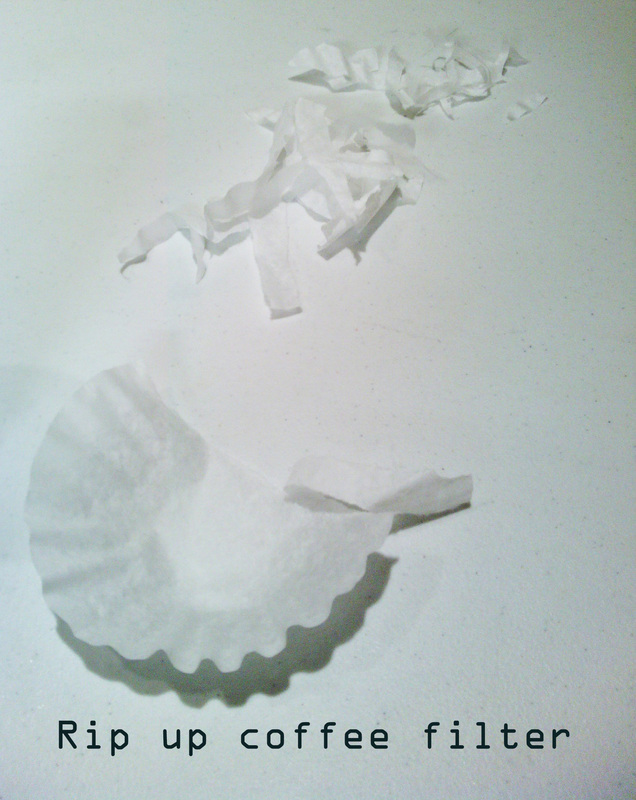 Rip your coffee filters into pieces. The size of the pieces do not matter, just whether or not some of the sides are straight. 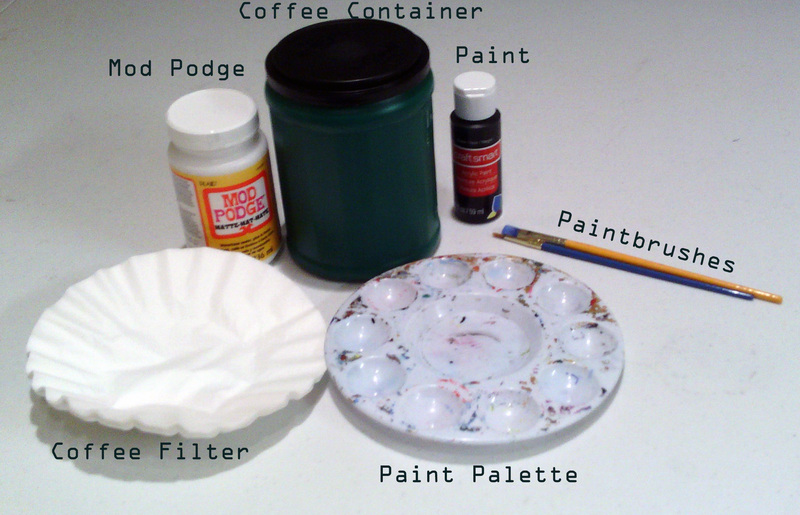 Using a paintbrush, cover a coffee filter piece with Mod Podge and transfer it to the coffee container. Keep doing this until the coffee container is covered with a layer of coffee filters. Keep adding layers until it reaches a thickness you desire. Time to paint. (This is the fun part.) Paint it whatever style you personally like. Add a quote, cute symbol, whatever. (Optional) Add a layer a paint sealer so that all of your hard work does not easily get ripped off. If you decide to use old coffee filters, ones that have had coffee run through them, it works just as well. On my coffee container with a quote, I used such coffee filters. Make sure to rinse them out so that none of the coffee grounds stay on the filter. Otherwise, you could get some mold forming on your container. This project is great to do as an easy week-long project. For example, each day when you wake up add a layer of filters unto your container. 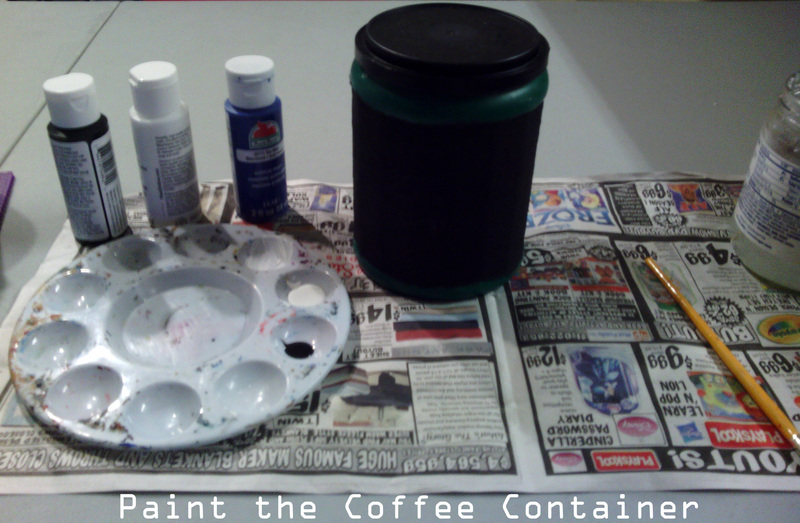 Before you know it your container will be ready to paint. 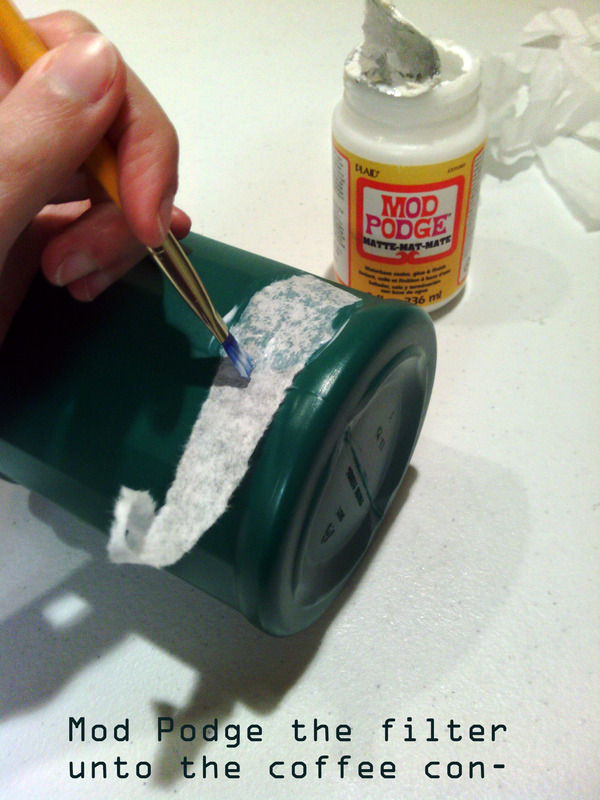 You do not have to just do this on old coffee containers. Any container you have lying around that you would like to decorate would suffice. What do you do to reuse or upcycle old objects? Well, I just saw it on top, looks really good! No worries. Thank you 😀 They were really fun to make!